N. P. OGAREV MORDOVIA STATE UNIVERSITY was Founded in 1931 as the Agronomy Pedagogical Institute it gradually expanded and granted the University status in 1957. It’s milestone in the evolution of quality education in the Republic of Mordovia. The great majority (about 75%) of eligible Mordovian students attend Ogarev Mordovia State University. This determines its pivotal role as a centre of education, research, culture and services for Mordovia and its people. N. P. Ogarev Mordovia State University is situated in SARANSK capital of Republic of Mordovia, 620 kilometres south east of Moscow. With its 28 Academic buildings, 12 residence halls (9 for undergraduate students and 3 for graduate students and academic staff) it is active in other Mordovian towns where it has 2 filiations. 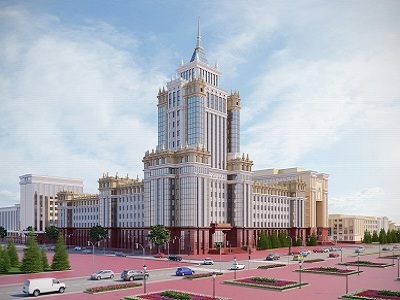 N. P Ogarev Mordovia State University now boasting a status of a National Research University is a Federal state budgetary academic institution of higher education offering the whole spectrum of academic programmes for under graduate, graduate and post graduate students. Among its core activity is fundamental and applied research, further training and qualification improvement courses for teaching staff and scholars. It is the major higher Education Institution in the Republic. By the Federal Government edict dated 20th May 2010 Ogarev Mordovia State University was conferred as category “NATIONAL RESEARCH UNIVERSITY”. Teaching staff is of some 1,700 (13.5% of Doctors, Full Professors and 66% of Senior Lectures). University has a Student population composed of over 13,000 full timers, 8000 part timers and 240 evening Students. There are also over 350 International Students. The learning and teaching methods focus on direct contact with students through lectures, workshops and practical classes. Throughout their course students are expected to complete theoretical and practical tasks and assignments and to undertake tests and final examinations at the end of each semester. Bachelor degrees are conferred upon completion of a 4 year period of study. Medical Institute offers 6 year programmes of study respectively. Upon successful completion of above programmes the graduates receive a certificates approved by the Russian Federal Ministry of Science and Education. Prospective Students can choose from a variety of 133 available tracks of undergraduate and graduate study. There are several Faculties and Institutes under Mordovia State University, the important departments are INSTITUTE OF MEDICINE, PHYSICS AND CHEMISTRY INSTITUTE, INSTITUTE OF AGRICULTURE, MECHANICS AND POWER ENGINEERING INSTITUTE, FACULTY OF BIOTECHNOLOGY AND BIOLOGY, FACULTY OF MATHEMATICS AND INFORMATION TECHNOLOGY, FACULTY OF ELECTRONICS ENGINEERING, FACULTY OF ECONOMICS, FACULTY OF FOREIGN LANGUAGES, ETC. University consolidates and supports the efforts of Research and Teaching Staff and Students to the continues updating of knowledge, their intellectual and social activity, the need for public service, awareness of responsibility for the future of Russia and other countries. 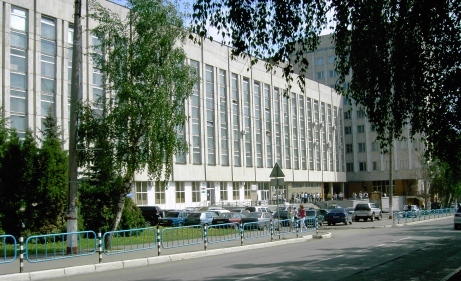 The institute of Medicine is one of the leading departments of Mordovia State University. Faculty of Medicine opened July 1, 1967 by the Ministry of Higher and Secondary Special Education on January 17, 1967. Annual enrolment is 175 students in the specialty “General Medicine”. From the earliest days of the faculty are their own history and the oldest of the department – normal anatomy, normal physiology, histology, cytology and embryology. In 1969 it’s began teaching clinical subjects – propaedeutics internal medicine, general surgery and other bases for the teaching of clinical disciplines and the creation of clinical departments and courses became the largest hospital of the city and country. The Institute of Medicine has adequate space, logistical and clinical base for training highly qualified specialists. There are four academic buildings, the class of Internet, computer and eight video rooms, language laboratory, a library of medical literature, reading room, conference and sports facilities, ski lodge, dining room, a dormitory. 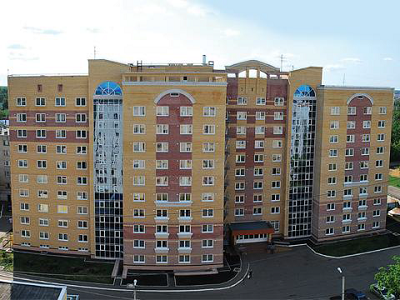 Clinical departments and courses are located in major hospitals and Saransk Republic of Mordovia. Scientific innovation infrastructure includes laboratories of departments and courses, the central research laboratory, vivarium, an anatomical museum, museums organopatologii and the History of Medicine, 14 research centres and other staff of the institute and students participate in the development and implementation of federal, regional and sectoral, interagency and international programs. Medical department of the university is one of the best medical schools / institutions in Russia. Our graduates are working adequately in many regions of Russia and the United States, Britain, Germany, India, Israel, Sri Lanka, Guinea, Yemen, Australia, Tunisia, CIS, etc. Students’ Science is one of the priorities of the institute. Its diverse forms: participation in scientific circles in the theoretical and clinical departments, publication of scientific articles, making presentations at international and Russian scientific meetings, conferences, etc. International students can make enquiries as to admissions policy in all available tracks of study and degree programmes of study before the 1st of August, the year proceeding the new academic year (commencing 1st September). Formally the application process starts with your documentation being placed for review in order to make sure whether you are eligible or not to have studies at Mordovian State University. All applicants are required to submit to the international office electronically or by fax the copies of documents listed below in order to have a student visa invitation issued. Secondary School Certificate with academic results (HSSC or equivalent). An original copy and a translation of your secondary school certificate with the summary of academic records; An original copy and a translation of your university or college diplomas with the summary of academic records (if applicable) and AIDS test report. New deluxe halls of HOSTELS were opened in year 2010 to accommodate more than 1000 international students. Boys and Girls are having separate wings. Each floor has a cable TV and a Fridge. All rooms are having attached Toilet/wash room, centralized heating facility during winter season. Hostels are fully furnished with study table, chairs, cot/bed, etc. Equipped with external video surveillance system and a card reading system on entry doors, it makes them the safest place for living. Among the facilities are computer and language classes, with a Broadband Internet access, laundry rooms, performance halls and fitness rooms, etc. Note: An Indian Mess is operational for students from India and North & South foods are served. High quality and hygiene Veg. & Non Veg. foods are served 3 times in daily. Very soon it is going to expand in a very good professional way in the upcoming new International Medical Students Hostel building. Active, creative and concerned with research young people are welcome to the Students Council of the University. Throughout the academic year a lot of academic, scientific, cultural, athletic, informational-analytical and socio-economical activities are organized by the Council. The Students Council of the University was set up on the 15th of April 1987. It unites the Students Councils of the faculties, institutes and the campus and operates as a self-government body within the University, facilitates the students’ involvement in the managerial supervision over the academic activities, ensures the efficacy of the education, develops personal creativity in frames of curricular and scientific activities. 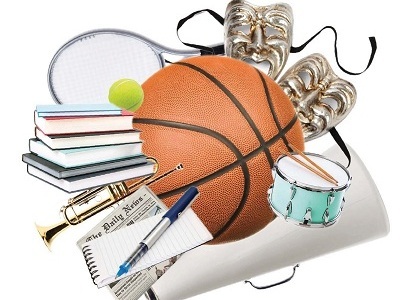 Sport plays a great role in the university life. The students are permanently participating and winning various contests in soccer, volleyball, basketball, field athletics and many other sport competitions. Sports facilities of the University include 4 gyms, 2 recreational complexes, 3 ski bases. In 2011 a university swimming pool was put into operation as part of the project “500 Swimming Pools” facilitated by the party “United Russia”. Traditional Spartakiada Games “Health” and Intercollegiate Student Games in 13 kinds of sports take place on the annual basis. Our students successfully participate and win prizes in the federal and international competitions. The creative team of the Centre is organizing all-university activities, concerts, themed evenings, methodically facilitates the celebrative activities, festive occasions, contests and festivals at the University, and cooperates with the social and artistic bodies of Mordovia and Russia.